As part of it’s awesome lineup of shows, the Orpheum will be featuring performances of the national sensation, Hamilton, from February 12th through September 8th. Looking to get in on the action and catch one of these amazing shows? Keep reading, as we reveal everything you need to know. If you’re a major theatre-junkie, then it’s likely you already know all about Hamilton and what a phenomenon it’s become. If you aren’t that familiar, though, we’ll break it down so you can understand exactly what you’re getting into. To make a long story short, Hamilton is a hit play, based on Ron Chernow’s biography of Alexander Hamilton, and brought to life through the combined vision of songwriter Lin-Manuel Miranda, director Thomas Kail, choreographer Andy Blankenbuehler, and orchestral genius Alex Lacamoire. The essence of Hamilton goes far deeper than just a simple stage show, however, as you’ll soon discover. By combining multiple musical genres — jazz, blues, rap, R&B, and Broadway — Hamilton tells the story of Alexander Hamilton and the Revolutionary War in a way that you’d likely never anticipate, and while we don’t want to give away too much of the plot, let’s just say the entire production was enough to earn this show 11 Tony Awards, including Best Musical, and was also the recipient of the 2016 Grammy Award for Best Musical Theater Album and the 2016 Pulitzer Prize for Drama. You can learn more about the Hamilton story by visiting the play’s official webpage, and catch a few previews of the show over on YouTube. Excited yet? You should be, and if you want to see for yourself just how grand this performance is, you’ll need to make some solid plans to get to The Orpheum at some point in the near future. Performances of Hamilton at The Orpheum will be kicking off on February 12th, and you can see what tickets are available by checking online at the SHN ticketing information page. Easy enough to remember, but you’ll also want to keep some details about the venue in mind to ensure you have the best time possible when you head to the show. All of these options are within half a mile of The Orpheum, but if you’d rather skip the hassle of driving, you should also bear in mind that the Civic Center/UN Plaza Station BART stop will put you within striking distance of the theatre, and that there’s always the option of catching a rideshare to your destination instead. 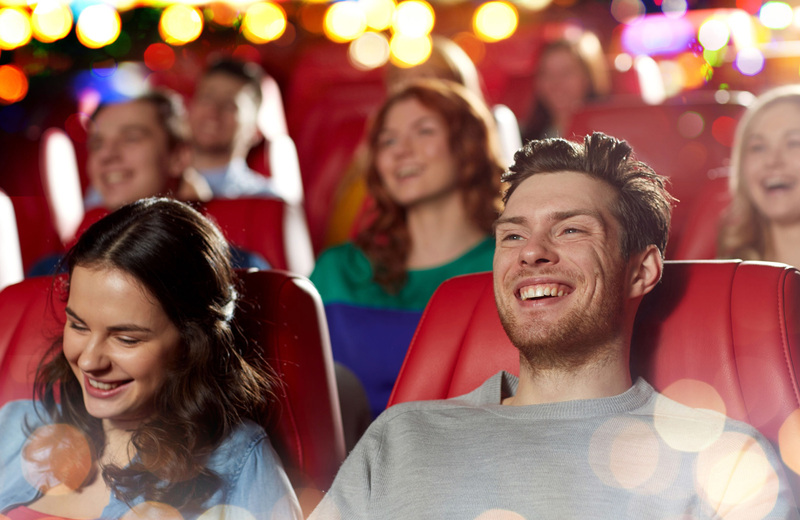 Since you’ll already be out to see the play, why not make your trip an entire evening excursion? There are plenty of bars and restaurants in the same neighborhood as The Orpheum, and each would make for a splending pre or post-show date spot. Feeling like a quick bite of Mexican food will satisfy your craving? Taqueria Cancun is just the spot to indulge on all the burritos and carne asada you can handle. Or maybe you’re just in the mood for a quick cup of coffee? Specialty coffee houses like Cumaica are just what you need, then. These and many other establishments are waiting, and once you’ve seen just how amazing Hamilton is, follow it up to one of your local favorites to complete your night out on the town. Getting around lovely San Francisco and the best it has to offer is that much easier when you’re a member of perfectly-positioned communities like The Towers at Rincon. From here, downtown, and all its secrets, are your oyster, and you’ll enjoy the added benefit of living in the lap of luxury and convenience at one of the many peerless residences. Ready to experience San Francisco like never before? Make The Towers at Rincon your starting point, and prepare to enjoy the adventure.